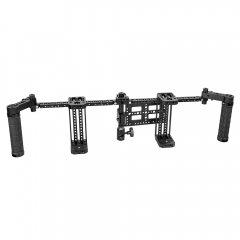 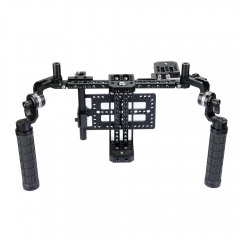 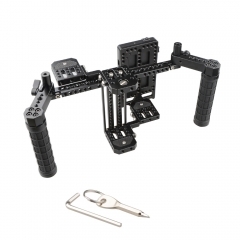 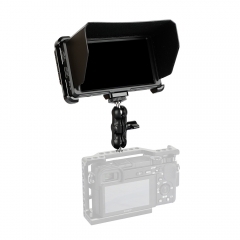 • For Monitors -- This cage is specially designed for 5" and 7" LCD monitors. 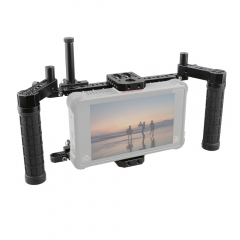 (it’s especially ideal for ATOMOS NINJA INFERNO). 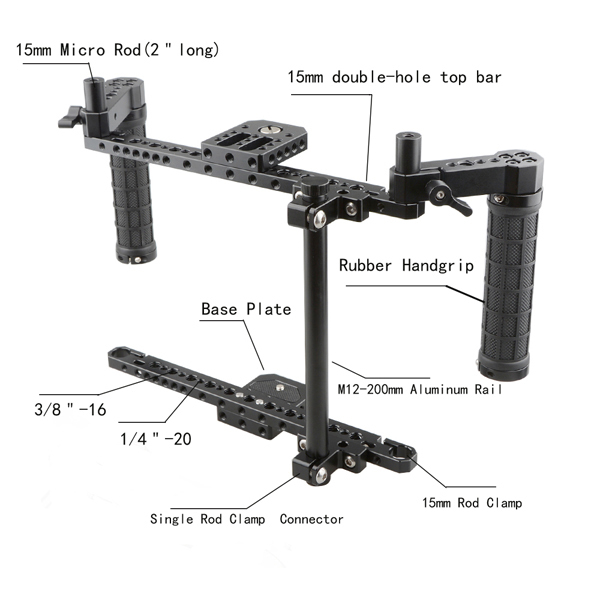 • Height Adjustable -- You can slide the bars up and down along the rod to acquire a suitable height to fit your monitor. 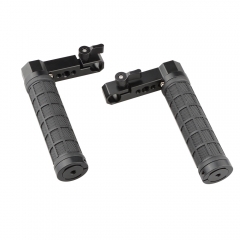 • Adjustable Handles -- Two rubber handles can move around the rod and it’s hand tight to secure a proper position. 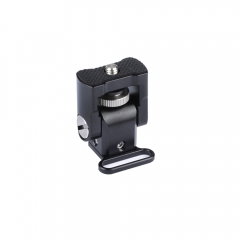 • In addition, the mounting cheese plate attaching to the rod, and the handgrips with rod clamp connectors could be adjusted horizontally in different positions for easy use and comfortable holding. 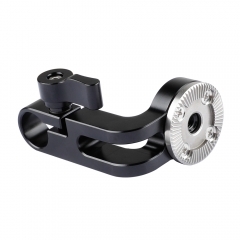 • It’s well made of aluminium alloy & rubber. 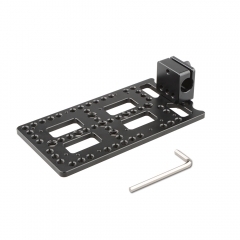 • Plenty of 1/4"-20 & 3/8"-16 thread holes mounting options. 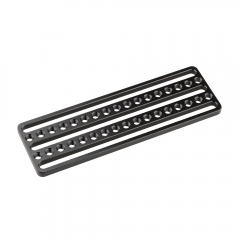 • Dimension: 420mm(L) x 215mm (H). 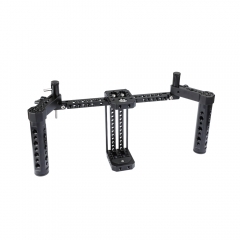 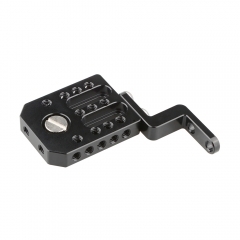 • Available height is up to 195mm.